No man is an island when it comes to real estate investing. Although the concept of buying and selling properties seems like a simple process, real estate has many moving parts. Most, if not all real estate investors, are not masters of everything. Hence, it is advantageous to work with professionals and leverage their knowledge and expertise. Real estate attorneys are a pivital member of your power team that will help your business succeed. We here at Simple Acquisitions are proponents of a strong power team. One of these power team members is your legal counsel. Let’s look at 7 ways that real estate attorneys can positively impact your real estate business. When it comes to choosing an attorney you want to select the one(s) has that have the necessary experience to handle your investments. Like most professions, attorneys work in a particular field of law. For us we want attorneys that are experience in real estate. In addition, finding one who has his/her own investment properties or has experience with investment properties is very important as he/she will understand the legal requirements and ramifications that come with purchasing/selling investment properties. The strategies and closing methods investors use for investments require attorney involvement. It’s essential to have real estate attorneys review all forms, documents and contracts that you plan to use in your business. If you know anything about contracts, you know that changing or adding even a single word to a document can help or hurt you. Attorneys can better protect you in liability and profit situations. At Simple Acquisitions we also work closely with Securities attorney to ensure we have the proper paperwork for our private lender partners. Attorneys provide a gamut of services that every investor can use. If you will be buying or selling properties with creative financing, interview potential real estate attorneys to see if they have experience working on creative deals like 1031 exchanges or other financing solutions. You want someone who is flexible and is willing to work with you to make a deal happen. A good attorney can help protect your investments and in turn, your financial future. In everything we do, we focus on maximizing profits while minimizing risks. Your attorney can help you do just that. Attorneys can also assist with property tax negotiations. They can provide advice on property tax implications and protest services on your behalf so you don’t pay more than necessary. In addition they can provide their negotiation skills during your due diligence period. 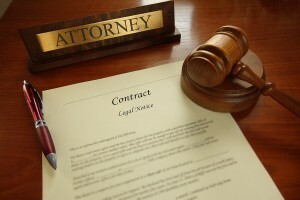 Attorneys are also beneficial on the tenant leasing side of your business. They can provide insight in tenants’ rights and the implications of leasing contracts, and assist with landlord-tenant disputes. Having experienced real estate attorneys in your corner can help protect your money, your property, and your rights, should you be faced with a lawsuit. Attorneys can also create a business entity that best reduces liability for your specific business and review insurance policies for your assets. There are many other areas where attorneys can deeply impact your business. They are probably the costliest power team members you will work with, but they are worth their weight in gold if they can protect you and your investments. Knowing how to invest in real estate means using the guidance and services of professionals to help you build wealth. If you are interested to learn more about how getting involved can benefit you, Drop us a line.